Home | Blog | What could VAT changes mean for your business? The report contains 23 recommendations for simplifying the tax including changing the VAT registration threshold, administrative changes and reducing complexity surrounding the types of supply subject to VAT relief. 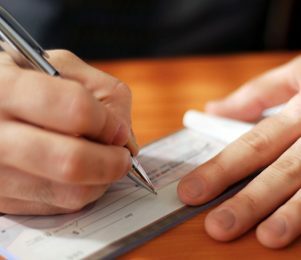 Here we look at what changes to VAT could mean for businesses and the wider economy. Why does VAT need changing? After over 40 years, the tax is showing its age. What was meant to be a simple tax has become highly complex and it has not kept pace with changes in society. The Jaffa Cake debate: Is it a cake (zero-rated for VAT) or a chocolate-covered biscuit (taxable)? When using a fast food outlet, do you ‘eat in‘ (taxable) or ‘out’ (when no VAT is due for exactly the same food)? A gingerbread man with chocolate-covered trousers is subject to VAT, but not if it has chocolate eyes. 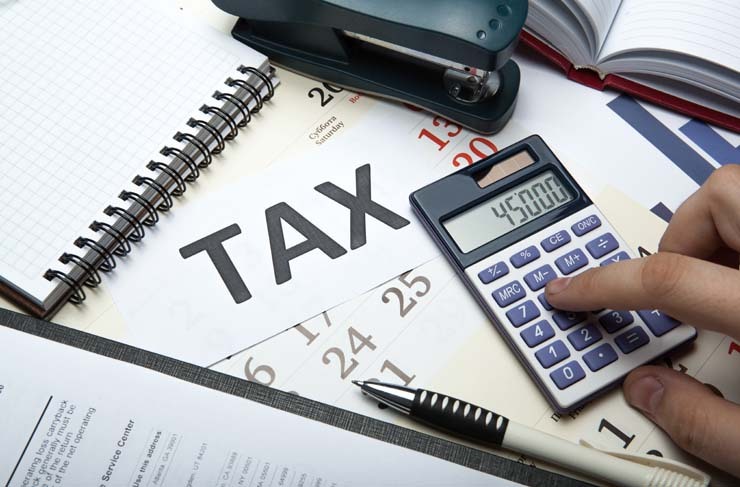 The simplification process aims to improve the tax by getting rid of anomalies such as this and reducing uncertainty and administration burdens for businesses. The most significant issue identified in the report is the VAT registration threshold – the turnover level above which a business must enter the VAT system and charge VAT on its sales. 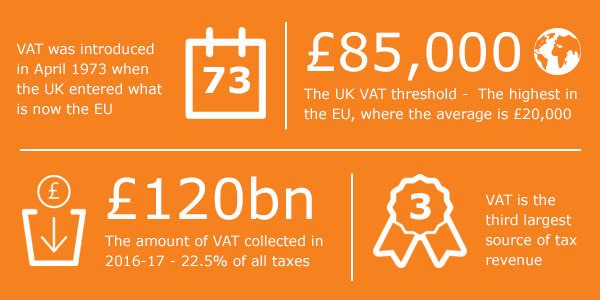 At £85,000, the UK has the highest VAT threshold in the EU. Suggestion: Reduce the threshold from £85,000 to £43,000. Likely impact: This would impact between 400,000 and 600,000 businesses. Alternate suggestion: Reduce the threshold by a small amount. Likely impact: A few thousand additional businesses would be required to register. This would increase the tax compliance costs of those businesses. This would only have limited impact on competitive distortions because only a small number of businesses would be affected relative to the overall UK business population, and the behavioural consequence might only be to shift the point at which bunching occurs. Suggestion: Raise the threshold to £500,000. Likely impact: This would potentially impact around 800,000 businesses. Of those, between 400,000 and 600,000 businesses might choose to deregister, while 200,000-400,000 might choose to remain voluntarily registered. Alternate suggestion: Increase the threshold by a smaller amount, for example £2,000. Likely impact: This would mean that approximately 12- 15,000 fewer businesses would be required to register. Limited impact on competitive distortions. Suggestion: Maintain the existing threshold. Likely impact: If the government had maintained the existing threshold in 2017/18 (rather than increasing it in line with inflation, as has become the norm), 4,000 extra businesses would potentially have been required to register in that year. “Any reduction of the VAT threshold against the current backdrop of unprecedented uncertainty and spiralling costs will have a hugely negative impact on growth within the small business community. “It is very encouraging to see calls to simplify the ludicrously complicated VAT system, and leaving the EU should be a catalyst for more of this. “VAT was introduced in 1973 as a ‘simple tax’. Since then it has become vastly more complicated to administer and is a significant burden that falls disproportionately on smaller businesses. 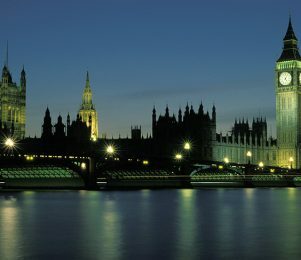 What do you think about the recommendations set out in the VAT review? What impact would changing the VAT threshold have on your business? Let us know in the comments below. Why not be totally radical and remove VAT altogether! Add 20% to Corporation tax instead. That would remove the cliff edge effect and the tax will only be paid on a value that a company can afford because they have made a profit. In Andrews situation that would put every one on a level playing field. Think of the staff and cost saving for the government as it will make all the VAT staff redundant. Something has to be done to enable business's to compete on a level playing field, I run a hairdressing salon well over the current VAT threshold, we have had several small new salons open up recently in the area, who are obviously not VAT registered, therefore are able to offer prices and deals 20% lower than us, which has subsequently has effected our turnover! there needs to be a fairer system for legitimate small businesses. Reducing the threshold will have an interesting effect on the service industry where there are virtually no recoverable costs. What would the public reaction to a 20% price increase in say the Bed and Breakfast or small cafe industry? Will the customers just have to put up with the price rise? 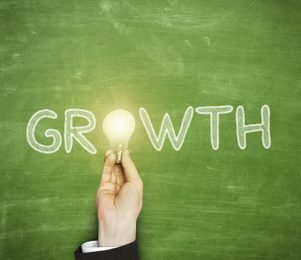 It's certainly true that in these types of industry, there is a strong advantage to limiting growth to remain below the threshold - that's assuming that the opportunity and appetite for growth even exists. Absolutely reduce it, there are too many advantages not to. However all gains in VAT paid should be used to reduce the rate of vat.